The ROKs; Republic of Korea Soldiers in Vietnam - The Works of Joe Campolo Jr. 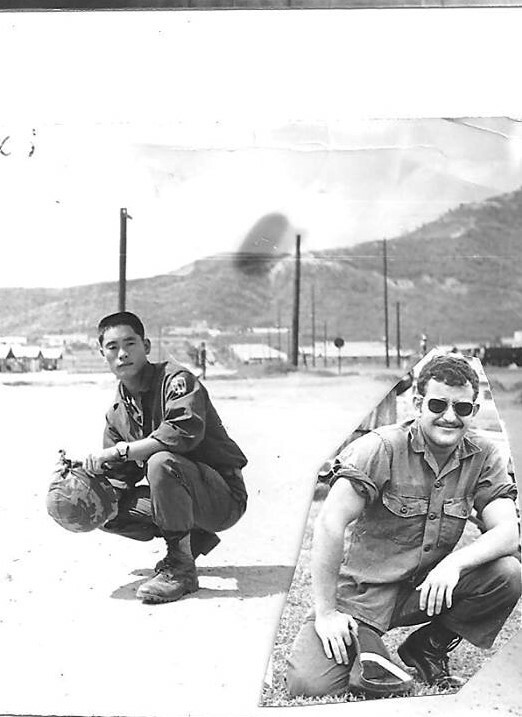 Many American GI’s who served in Vietnam had contact of one kind or another with troops from South Korea, commonly referred to as the “ROKs”. 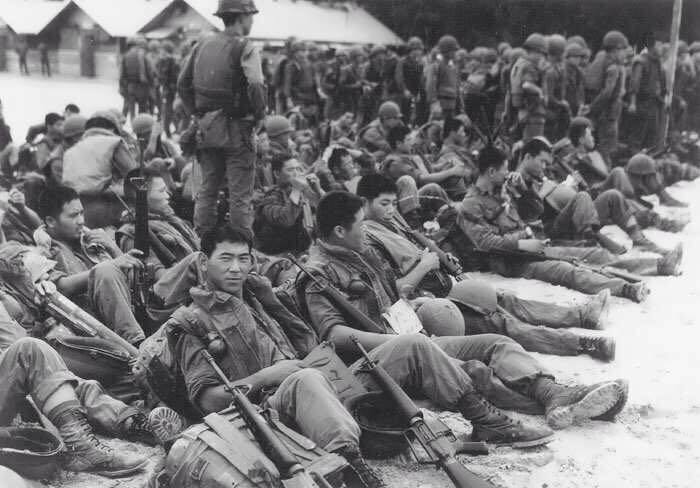 The Republic of Korea, a staunch ally of the U.S., sent some 335,000 troops to fight in South Vietnam from 1965 to 1973. 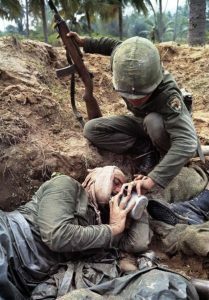 Of those 335,000 troops some 5,500 were killed in action, while over 11,000 were wounded. Though the South Korean Army contributed most of those troops, members of South Korea’s Marines, Air Force and Navy also participated in the war. Johnson desperately needed support for the war. As one of the participants of Lyndon B. Johnson’s “Many Flags” campaign, South Korea became the largest foreign presence in Vietnam, after the United States. 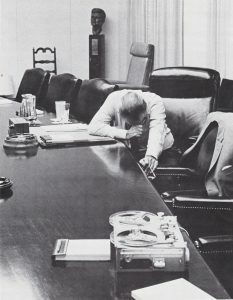 The South Korean government was not anxious to send troops to Vietnam but did so for economic reasons, and more importantly, because it feared the United States would transfer many of its own troops from South Korea to Vietnam, if they did not comply with Johnson’s request. 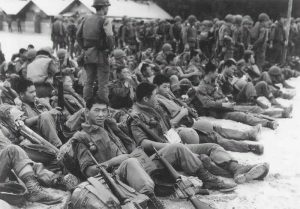 Even so, South Korea was granted specific sums of money for each South Korean troop deployed to South Vietnam, along with regularly scheduled “general” payments to the South Korean government for the duration of the war. As part of the agreement, the U.S. also agreed to purchase many war materials from South Korea and contracted with South Koreans for many other war related services during the course of the war. These activities prompted many U.S. politicians and citizens to decry the actions as nothing more than the hiring of mercenaries to fight Johnson’s war, as well as shelling out poorly veiled bribes for foreign support. The ROKs held no sympathy for the enemy. Other problems arose with the South Vietnamese military who largely detested the Koreans, believing them to be interlopers and bullies. South Korean Soldiers and Marines, known for their toughness were accused of various atrocities throughout the war, and to this day, the government of Vietnam is still attempting to press charges against the South Koreans for actions that occurred during their time there. The ROKs aided the U.S. military in every way. Despite the controversies surrounding their participation in the war, the U.S. military held the South Koreans in high regard and U.S. GI’s who served with the ROK’s (me included) hold many favorable memories of them. 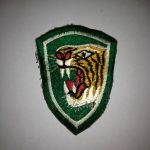 The two ROK army divisions that served in Vietnam were the “White Horse Division” and the “Capitol Division”, more commonly known as the “Tiger Division”. 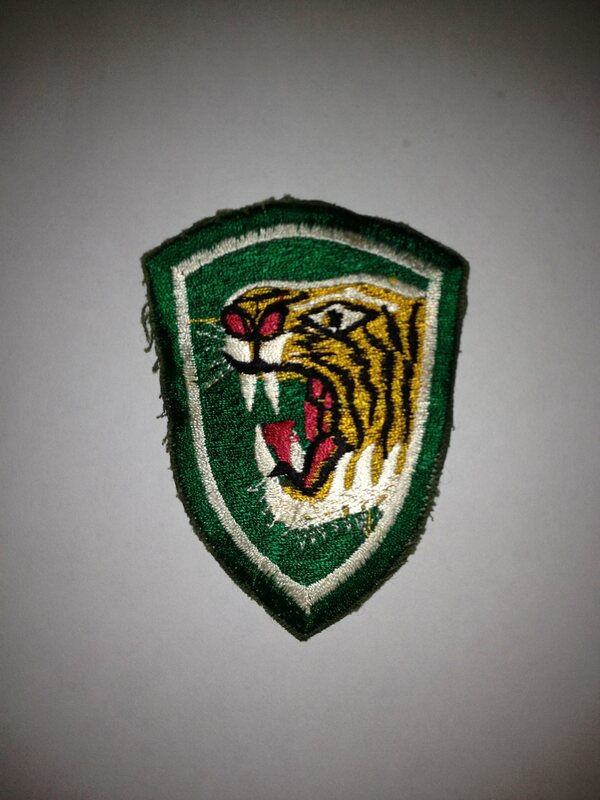 My involvement with the Koreans was with the “Tiger Division” which had two camps just outside the Phu Cat Airbase perimeter. 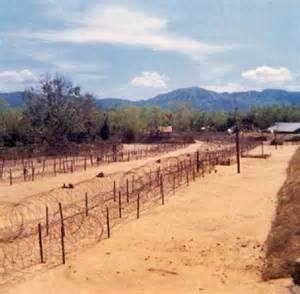 The Phu Cat perimeter was frequently probed by VC and the NVA. 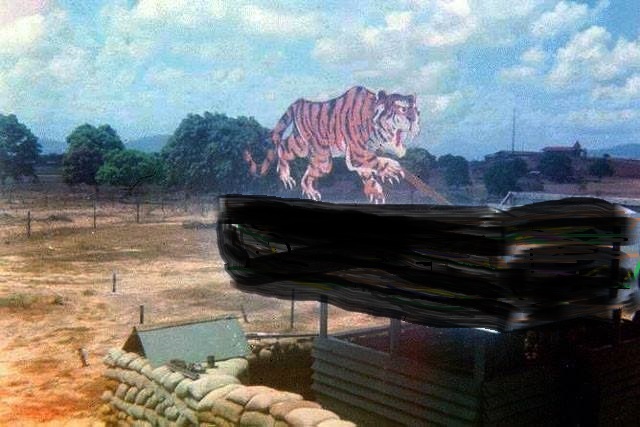 At Phu Cat, the “Tigers” conducted both passive operations, including defensive positions along our perimeter, as well as aggressive operations including search and destroy patrols in the general area surrounding the Phu Cat Airbase. As more and more elements of the 173rd Airborne were pulled back during President Nixon’s Vietnamization program, the Phu Cat Airbase assumed more and more responsibility for its own protection. Security police and augmantees (volunteers) patrolled the base perimeter 24 hours a day. The local Vietcong would often probe the perimeter, sending sappers in to inflict damage whenever they could. 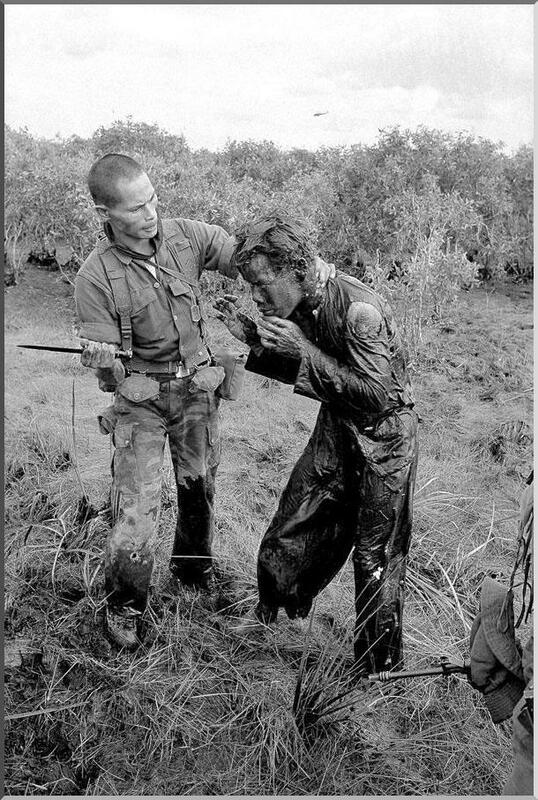 While Air Force base defenses performed the passive defense very well, they were not trained or equipped to go out on patrols, seeking out Vietcong and North Vietnamese soldiers. The ROKs, on the other hand, performed that task very well. 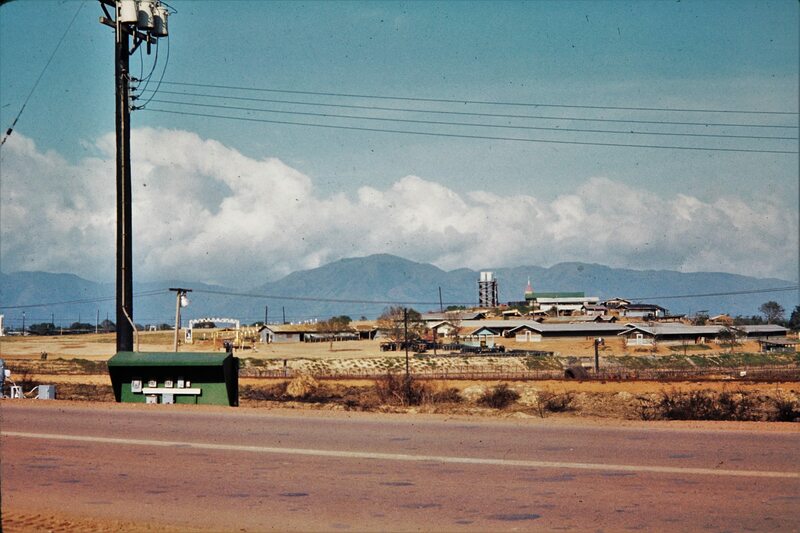 The main ROK compound outside Phu Cat Airbase southern perimeter. I first became associated with the ROKs when I spent time in their main camp outside of our south perimeter learning the martial art of Tae Kwon Do. Larger and stronger than the Vietnamese, the ROKs were tough, disciplined and extremely dedicated in the application of their practice of karate. Watching them as they trained and sparred we became quite impressed with their physical prowess. Few Americans could match their abilities in hand to hand fighting. I eventually earned a yellow belt in Tai Kwon Do, but never took it any farther; I was not what you would call a “natural” in that endeavor. Some of my peers became quite enthralled with the martial art, earning various degrees of black belts. They would spend their off duty hours with the Koreans, training and sparring. Our non-com at the time would often chide us over our involvement in the activity. He called us “chimbee artists” after the sound we made when we executed our moves. When I had about three months left of my tour of duty in Vietnam, I began spending much of my time in the Korean bunker just outside of our Western perimeter. My two best friends whose tours were over had already left Vietnam. With Nixon’s Vietnamization program in full swing, my previous duty station required a skeleton crew only, leaving me a ship without a navy, so to speak. Recruited for other duty, I spent about one month loading and unloading cargo on C-130 and C-47 aircraft. I flew all around the Central Highlands of Vietnam during that time. That was great duty for me; I especially enjoyed my one-week stay at Nha Trang, which had a beautiful beach for swimming and even surfing. However when my flying days ended, I still had little to do and was pretty much in charge of my own activities. I took my R & R to Hong Kong (much enjoyed) but when I came back, I still had no workstation to report to on a regular basis so I started hanging with my old friends, the ROKs. The ROK bunker where I spent most of my last two months in-country. The ROKs on our Western perimeter maintained a small, less than platoon size bunker, and because of my earlier association with them, I now found myself charged with making sure they had everything they needed that our Airbase could provide. (They finally found something for me to do so I’d leave them alone) I felt this was worthy duty and I also enjoyed it. Each morning I would walk over to the ROK compound just outside of our Western perimeter, and spend most of the day there. The ROK Lieutenant in charge would greet me on arrival after which we would discuss any number of topics. Protocol was important to the ROKs and it was necessary for me to spend whatever time the Lieutenant required, discussing whatever subject he liked. As a recent convert to Christianity, the Lieutenant liked to discuss religion. Being a Luke-warm disciple of religion, my participation in the discussion was based primarily on manners and military protocol. The rest of my day at the Korean compound would be spent in any number of ways at my new duty station. One of the Korean soldiers and I became close friends over time and we were inseparable during my time there. Kim Jun-Ki and I fished and swam in the little river that ran by their compound, and shared family histories as well. He had a sister named Jun-Ja and he hoped to engineer a marriage between us. Another time, another place perhaps, but I wasn’t ready for a marriage based on correspondence, so I held him off on that one. Kim and I kept in contact for several years after we both left Vietnam and after all these years I still think of him often, hoping he prospered and did well in life. 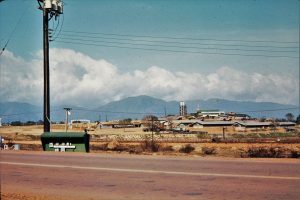 For reasons of self-preservation, the local VC usually spared the ROK compound from the mortar and rocket attacks the airbase was subjected to. During my stay with the Koreans, I recall only one or two mortar attacks and the mortars that fell were well short of our little bunker. It was my opinion that the mortars were intended for the airbase and just fell short. 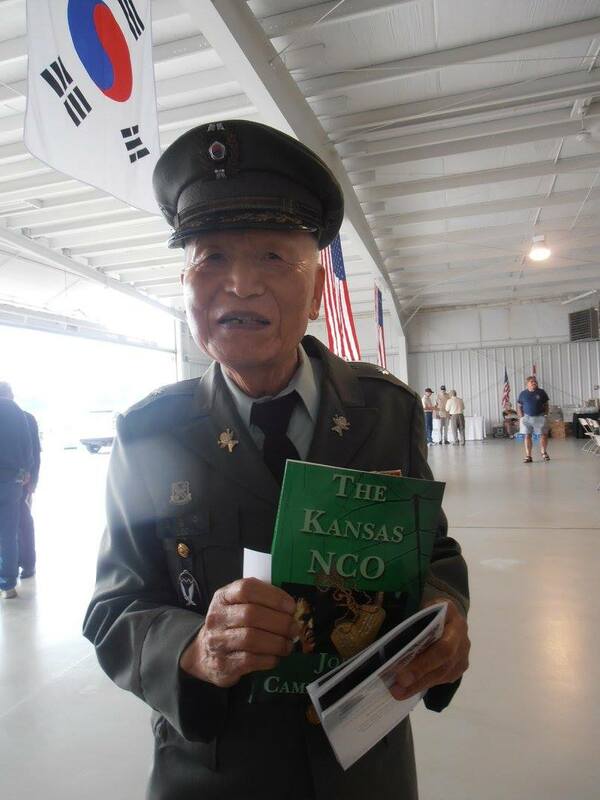 A former ROK soldier, now U.S. citizen at one of my book signings. Before I left Vietnam, my ROK friends held a celebration on my behalf, including fresh fish from the river, Korean OB 10 beer, and, of course, plenty of kimchee. To this day, I fondly remember all of my days and nights with my Korean friends, I still have a fondness for Kimchee have converted some family members and friends and bring some home now and then. I served with the ROK in Korea in 67-68. While in a field hospital, a North Korean soldier, was in a bed opposite from me guarded by two American MP’s. When he was released by the Americans to South Korea, they hung him soon afterwards. Tough cookies.